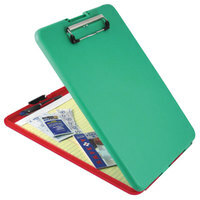 Show your support for your school, university, or sports team with a matching green clipboard. Easily identifiable, the color green stands out against traditional, neutral-colored office supplies. It’s also a quick way to add some variety to your day. Also make sure to check out other great items from Mobile Ops and Saunders. 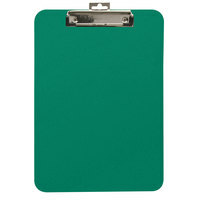 Green clipboards are great for matching department, classroom, or sports team's colors. 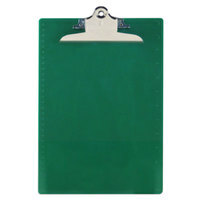 You can stay organized by using a green clipboard as part of your color-coded identification system, reserving green for documents that are signed off and approved. Available in different styles and materials, some green clipboards feature recycled content that contains post-consumer waste, making them an environmentally friendly choice for your business. For other office products, check out our pencils and accessories, planners and personal organizers, and report covers. If you're wondering where to buy green clipboards, we have a large selection of green clipboards for sale at the lowest prices.